Driverless cars are not an unrealistic concept anymore and India is not behind in the race either. Sensing a huge market potential, most of the automobile companies and even Google are fighting over automated passenger cars and urban mobility today. An autonomous car or driverless car is a vehicle that is capable of sensing its environment and navigating without human input. 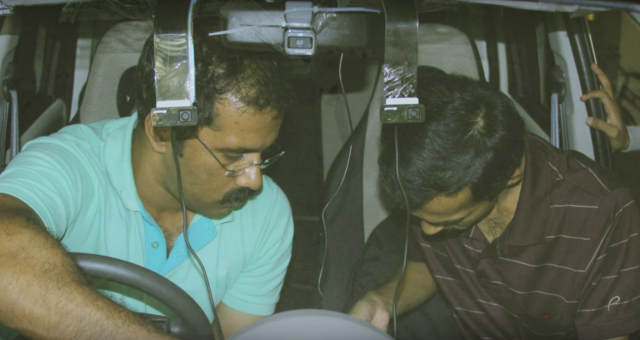 Autonomous cars do not have to be expensive, as an Indian man named Roshy John has recently proved. 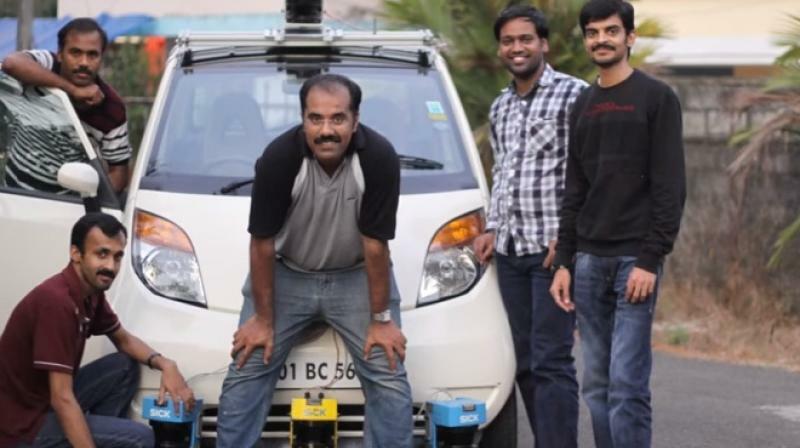 An Indian techie from Kerala along with his team of engineers has managed to build an indigenous self-driving car from Tata Nano within a period of just five years. The Idea of self-driving car came in mind of Dr. Roshy John, when he called for a taxi at the airport to go home. To his surprise the taxi driver was more exhausted than him and seemed sleepy. John requested the driver to switch seats and drove himself. That also inspired him to do something about it. Dr Roshy John felt it was his responsibility to build an autonomous vehicle within his capabilities. He heads Robotics and Cognitive Systems at Tata Consultancy Services in Kochi. 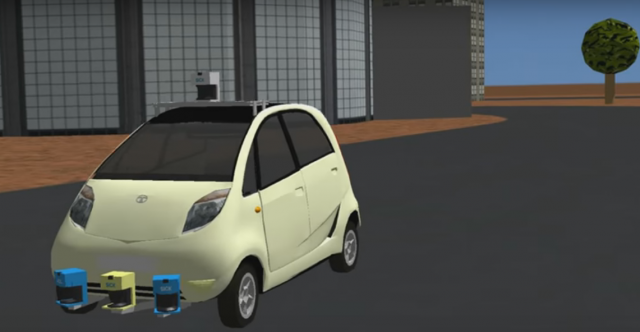 He developed a self-driving Tata Nano just to show that it can be done. 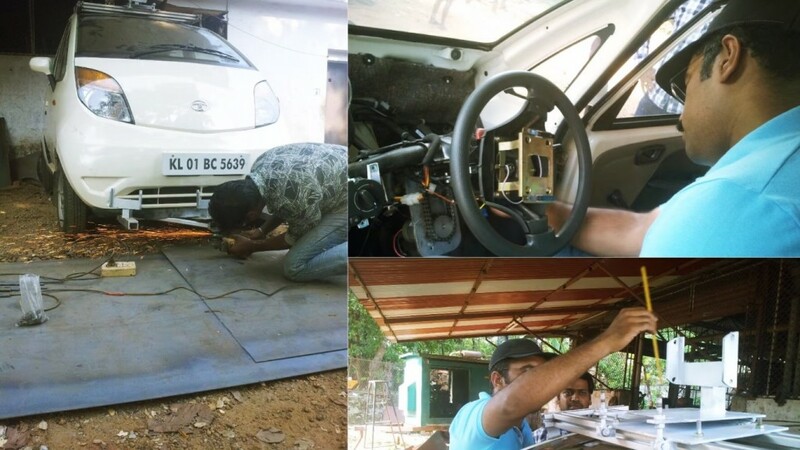 After inspecting many cars, Roshy chose a Tata Nano for the project because it had the engine at the rear. This was necessary so he could add actuators and sensors to the front portion of the car. Roshy, and a team of engineers who helped him throughout the process, first did a virtual simulation of the car to figure out if the plan would work. After the simulation checked out, the team bought a Tata Nano. It was totally stripped down. Cameras and sensors were added to it. The team also created automatic gear shifting equipment. And finally, real-time tests were carried out. After five years of testing, the team claims it has created a modular system that could be fitted onto any vehicle available in under an hour, to make it autonomous. Self-driving cars are said to be the future of the automobile industry. Major car companies as well as organizations like Google and Apple are carrying out extensive research on autonomous or driver-less cars. There is no doubt that these cars will be nothing less than a boon to those who cannot drive.